Wishing you a very happy and prosperous 2012. I would like to Thank you for the overwhelming response to the first edition of our News Letter. 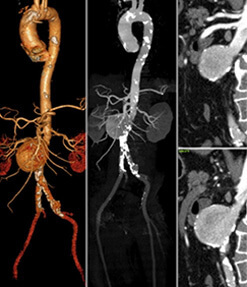 This has prompted us to bring you this second issue with exciting clinical material. To keep our promise of bringing the latest in Imaging and Therapy we at Star Imaging Centre are happy to announce the arrival of MR guided HIFU system for non invasive treatment of Uterine Fibroids. We have already done couple of cases and are one of the few centres in Country and the only one in Maharashtra, outside Mumbai, to offer this therapeutic option. 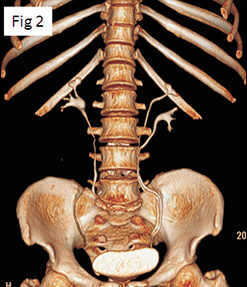 Subsequently done DSA revealed significant Right Internal Carotid Artery Stenosis. Left carotid circulation being normal. Possibility of uncrossed pyramidal tract was raised to explain right sided infarct and same sided hemiparesis. 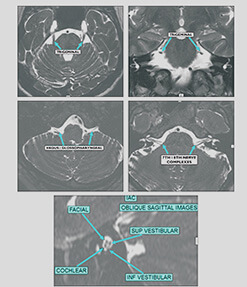 Normal pyramidal tract originates in the motor cortex, converge in the centrum semiovale, bundle in the posterior limb of internal capsule, pass through cerebral peduncle, separate at the level of Pons and again converge at the ponto-medullary junction and finally cross at the level of pyramidal decussation. 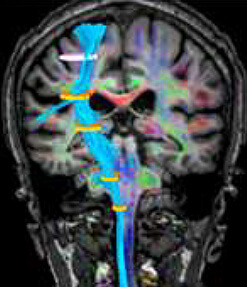 Demonstration of uncrossed cortico-spinal tract on right side by MR Tractography ensured high confidence level in Neurointerventionalist to subject the patient to right internal carotid artery stenting. Fifteen days old Neonate Presented with Posturing, Convlusions, Lethargy and Refusal of Feeds. Baby had been discharged from NICU 4 days back. 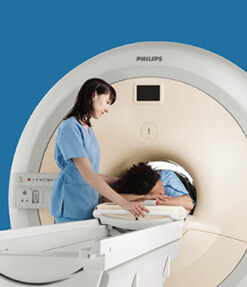 MRI brain and MR Spectroscopy was performed at Star Imaging and Research Centre. Maple Syrup Urine Disease (MSUD) is one of the treatable cause ofneonatal encephalopathy which occurs due to gene defect resulting in defective oxidative decarboxylation of branched chain amino acid valine, leucine and isoleucine. 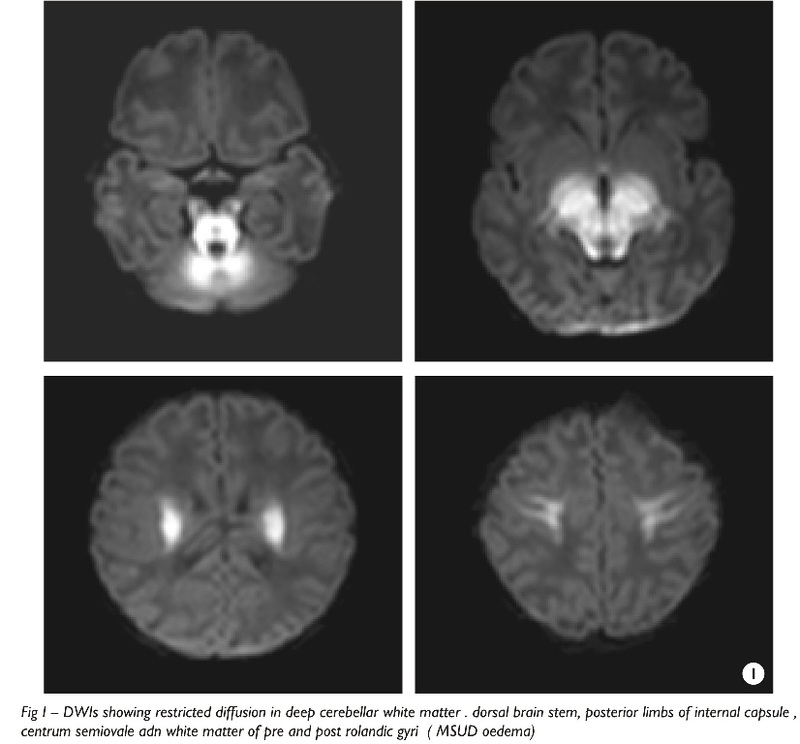 This results in brain insult predominantly affecting areas getting actively myelinated. 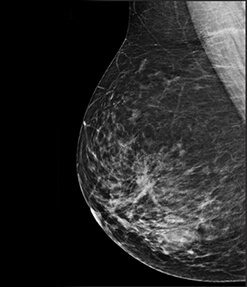 Areas of diffusion restriction are supposed to be due to Intramyelinic oedema. 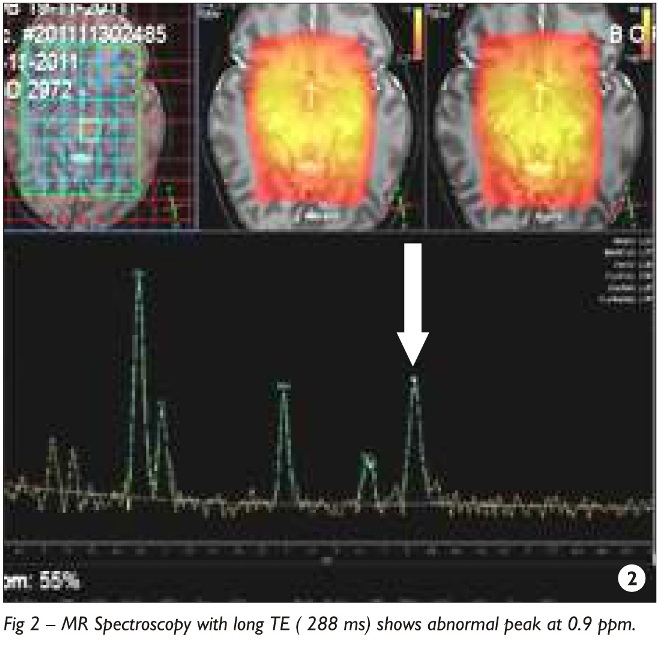 MR spectroscopy during acute insult shows a broad peak at 0.9 ppm on long as well as short TE spectra. This is supposed to represent resonance from methyl proton of branched chain amino and ketoacids that tend to accumulate due to their defective metabolites. Treatment requires LIFE LONG dietary restriction and monitoring of branched chain aminoacids. 55 Year old male came with c/o shoulder pain. 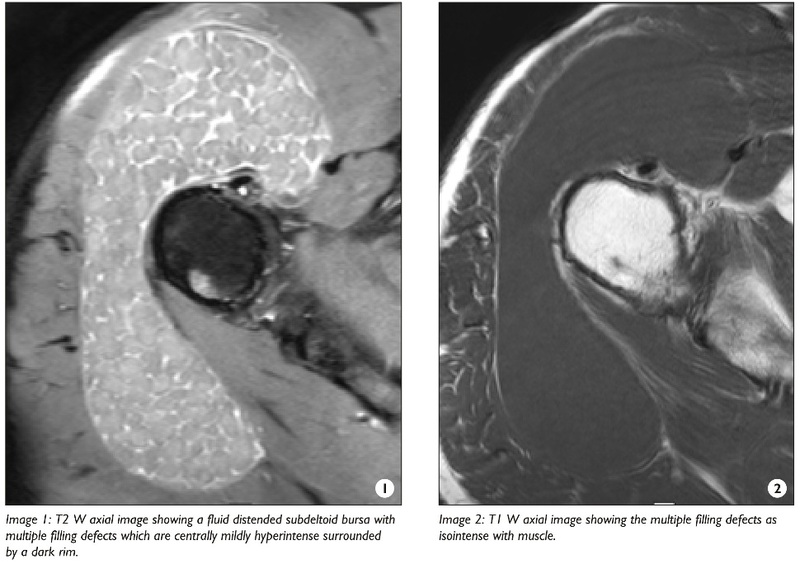 MRI reveals a significantly fluid-distended subacromial / subdeltoid bursa with multiple filling defects within it. The lesions are characteristically centrally mildly hyperintense with dark rims on T2 and isointense on T1WIs. 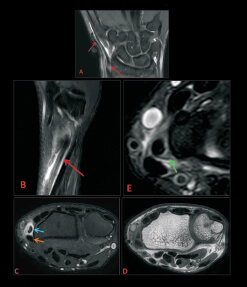 CT images did not reveal anycalcification/ossification in the lesions. Involvement of the subcoracoid recess noted. No intra-articular involvement. Erosion of the inferior aspect of the acromion noted. Fairly thick peripheral enhancement of the bursa without any enhancement in the lesions was seen. Idiopathic synovial osteochondro- matosis is a benign metaplastic disorder of the synovium which affects men in the 3rd-5th decade of life. Monoarticular disease is the rule. Synovial osteochondro-matosis can also occur in tendon sheaths and periarticular bursae with or without associated joint involvement. 2) Indian journal of orthopaedics 2010, vol 44, issue 1, pg 104-107. 38YR old male came with c/o pain in the knee joint since 1 month. 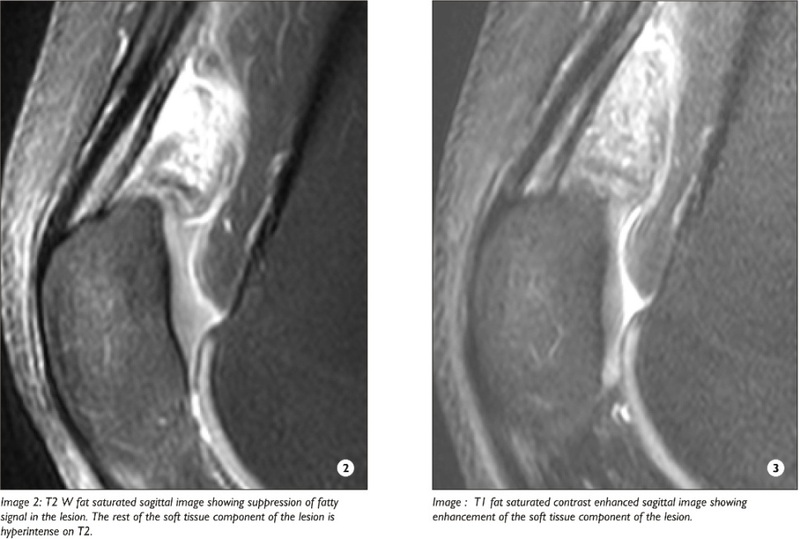 MRI reveals a fairly well defined, partially enhancing frond-like villous lesion which has predominantly fatty signal in the suprapatellar pouch. 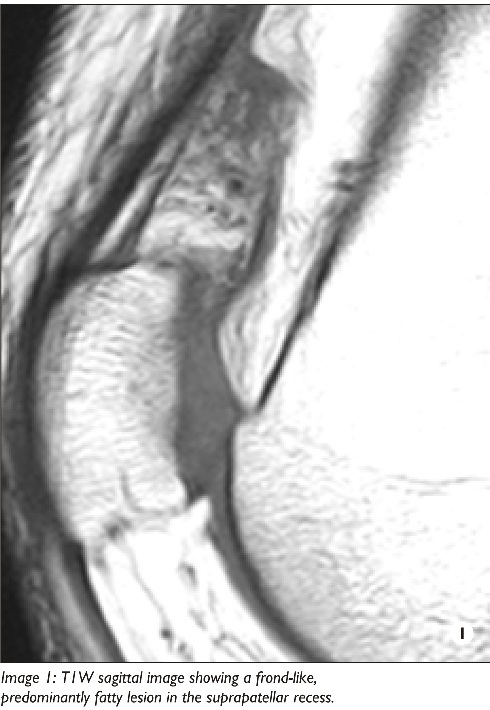 Lipoma arborescens is a fairly rare condition affecting the synovial lining of the joints and bursae with frond –like morphology and deposition of fatty tissue. Most frequently involves the suprapatellar recess of the knee and is usually unilateral. On MRI there is predominantly fat signal which saturates out on the fat suppressed sequences. Chemical shift artefact may be apparent sometime at the fat-fluid interface. 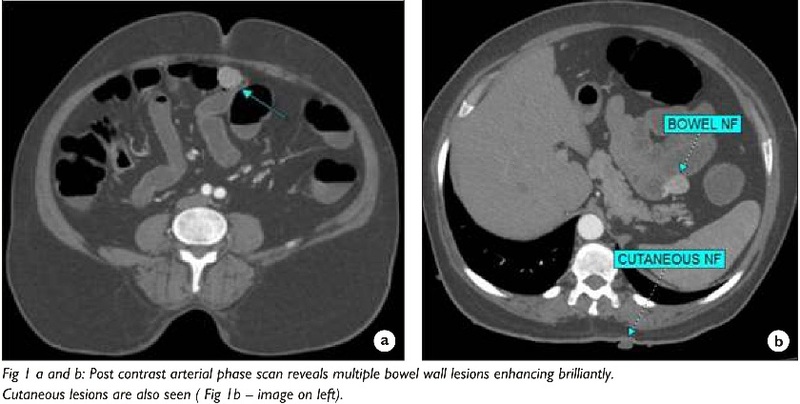 Triple Phase Post contrast CT revealed bowel wall lesions projecting into the lumen as well as having exophytic component. They were brilliantly enhancing in arterial phase. Multiple cutaneous neurofibromas were also seen. Differentials of carcinoids, GIST & neurofibromas was raised. Histopathology confirmed multiple bowel wall neurofibromas. 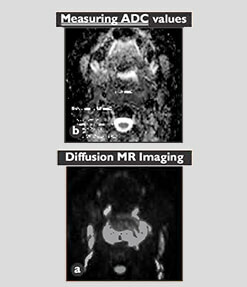 Take home Imaging Message: Neurofibromas may involve the skin, soft tissues, or viscera. 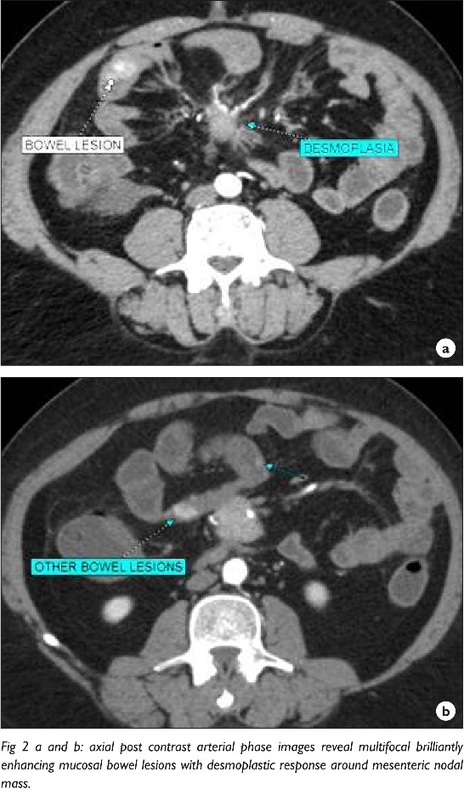 Gastrointestinal involvement in NF1 is reported to occur in 10%–25% of patients. Neurofibromas are the most common neoplasm of the gastrointestinal tract in patients with NF1. 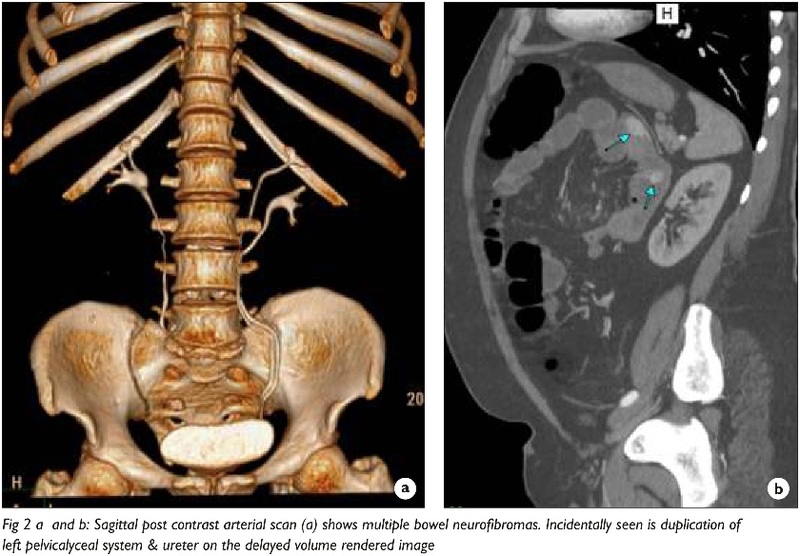 The majority of gastrointestinal neurofibromas in NF1 are clinically occult. There are five categories of NF1 tumors that occur in the abdomen: neurogenic, neuroendocrine, non-neurogenic gastrointestinal mesenchymal, embryonal, and miscellaneous. Elderly man complaining of andominal pain & loose motions. Take home Imaging Message: Carcinoids may be multiple in upto 30% of the cases. 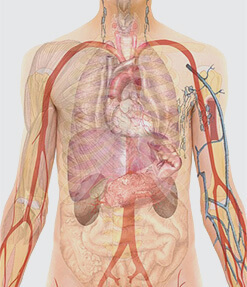 Bowel symptoms could be a part of carcinoid syndrome or bowel ischaemia secondary to vascular encasement. Primary bowel lesions is usually small as compared to large nodal metastases & desmoplastic response is nearly always seen.